Independent living is designed for seniors who do not require assistance with daily activities such as medication management or help with bathing and getting dressed. Independent Living Communities are designed for seniors who may benefit from being a part of an active and carefree environment which offers communal spaces such as dining rooms, recreation rooms, activity and craft rooms where they may enjoy a myriad of social opportunities throughout the day. Our Communities are known for their excellent service, friendly atmosphere and welcoming community – along with their wide range of services and amenities. 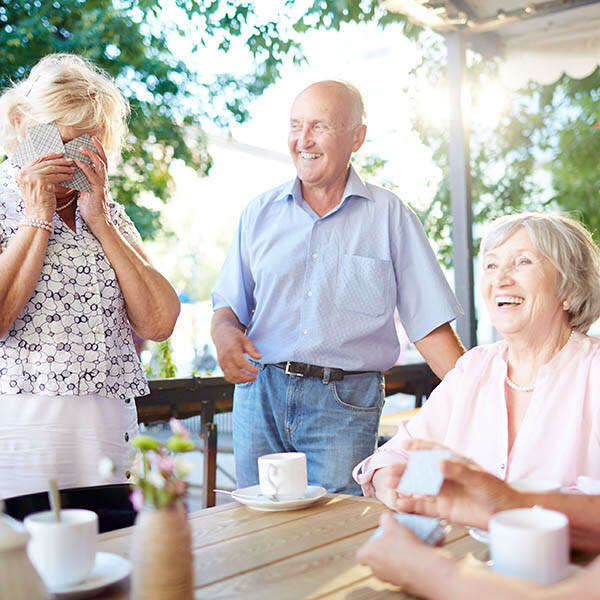 The attractive Communities not only provide senior-friendly accommodations, but residents can take advantage of everything they have to offer, while at the same time, maintain the ability to come and go as they please. We enable seniors to trade in their household chores such as housekeeping, yard work and maintenance, for the comfort of a well-deserved retirement with activities in an engaging social environment. This enables residents to pursue personal interests and maximize their independence, dignity and self-respect during their retirement years. Our staffing philosophy supports our mission and core values, and goal for our team members to provide the best possible customer service to our independent living residents. This routine service excellence means doing things the right way, all the way, every time. The philosophy is routinely shared and reviewed with our team members and sets the stage for a positive customer experience every day. Our Independent Living Communities feature spacious apartments and/or independent cottages with a number of popular features that may include full kitchens, ceiling fans, pull-cords, walk-in showers and closets, garages, patios, free parking, and more. Visit Communities to learn more about our Independent Living Communities.